The European Court of Justice (ECJ) declared in a final ruling that Germany's Renewable Energy Act, known as EEG 2012, feed-in tariff support arrangements for wind and other renewables do not constitute state aid. In 2014, the European Commission had decided the EEG 2012 support mechanism constituted state aid but was allowable, apart from the generous relief on the EEG surcharge rate paid by large industrial consumers. Germany appealed before the European General Court and lost, but its subsequent complaint to the higher-ranked ECJ has been successful. In the meantime, pressured by European Union state-aid guidelines, Germany has implemented an auction system for allocating support. The World Wind Energy Association said commission‘s decision prompted Germany, and many other countries, to substitute the "very effective" feed-in tariff legislation with auction systems. These fail to deliver in quantity and efficiency and do not offer the same participatory opportunities for smaller investors such as citizens, SMEs and community groups, the association added. Germany‘s New Energy Federation, the BNE, said the post EEG-2012 reforms made wind and solar plants competitive, and electricity market reforms are now needed. German wind energy association BWE added that the ECJ verdict "sends a signal that there is more flexibility in making the rules than was possible up until now, which could bring a positive drive". 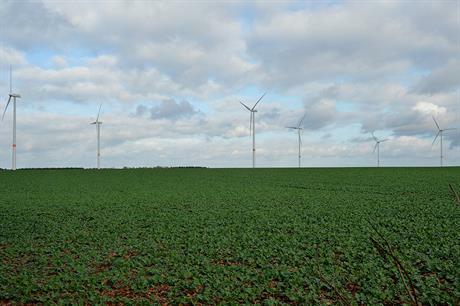 But other issues are more urgent than re-examining the auction system, such as Germany‘s current dearth of onshore wind permits, a BWE spokesman told Windpower Monthly. Onshore wind project permitting takes an average 700-800 days, three times longer than three years ago. Permits also no longer give legal security, with currently around 80% challenged in court cases that can last three years, he added. "We want a clear signal on a technology-specific roadmap to achieving Germany‘s 2030 climate targets which will, in turn, require the federal states and municipalities to step up planning for windpark siting" the spokesman said. Lawmakers also need to legislate on regional concepts for sector coupling, allowing easier use of wind energy locally instead of having to transport it across the country. Further, arrangements allowing wind operators to directly supply industrial and commercial customers such as car companies and the federal railway company through a new and separate balancing pool are needed to enhance existing Germany trading arrangements in which the "green" quality of renewables electricity is eliminated and use of certificates of origin is only allowed for marketing purposes.